Glaucoma is the condition of the eye in which occurs due to damaging of the optic nerves. This can lead to vision loss (especially peripheral vision) or blindness. The destruction of the optic nerves is associated with the build-up of fluid in the eye resulting in increased eye pressure. A clear fluid, called aqueous humor, is constantly circulated in and out of the eyes to nourish the eye tissues. When this fluid is not drained out of the eyes properly, the eye pressure increases. There are several types of glaucoma the most common type is the open angle glaucoma which occurs due to large eye pressure. The other types include normal tension glaucoma, secondary glaucoma, congenital glaucoma, and angle closure glaucoma. The normal tension glaucoma is not caused by the increase in eye pressure. The secondary glaucoma is induced by other eye conditions and congenital glaucoma occurs in infants and may be inherited. Glaucoma may be developed in one eye or both. This disease progresses slowly and often has no early symptoms, especially in the open angle glaucoma. The angle-closure glaucoma is caused by blockage of the drainage angle resulting in a sudden rise in the eye pressure. This type presents symptoms like blurry vision, vomiting, headache, eye pain etc and requires immediate treatment. The other risk factors that may cause glaucoma are high blood pressure and diabetes. Certain ethnic groups and the elderly are also at greater risk. Glaucoma, especially open-angle glaucoma can be effectively treated if it is detected early and serious damage to the vision can be prevented. The treatment of glaucoma is mainly done through medicines (eye drops) and surgeries. However, the lost vision cannot be reversed. These medicines can have side-effects such as redness or itchiness in the eyes, change in pulse rate, breathing problems, blurred vision, etc. Since the treatments available cannot cure glaucoma, there is a need for a functional measure against the development of this disease. The potential for such a measure is seen in the common spice, turmeric. 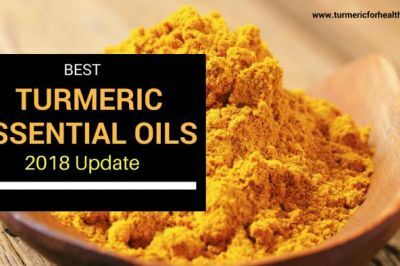 Turmeric is a popular spice obtained from the rhizomes of the plant Curcuma longa. It belongs to the family of common spices such as ginger and cardamom, Zingiberaceae. This spice has been an integral part of the Indian cuisine and traditional medicine. It is used for its flavour and bright colour in the cooking. In traditional medicine, turmeric is commonly being used for the treatment of pain and wounds. It has various biological properties that make it a potent natural product against many diseases. These properties include antioxidant, anti-inflammatory, antimicrobial and immune-modulation. 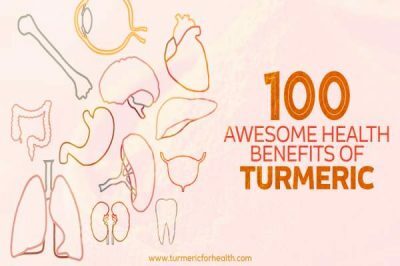 The chemical constituents of turmeric that are responsible for these actions are many, most importantly curcuminoids. 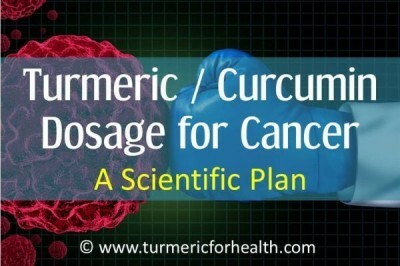 Curcumin is one of the active ingredients of turmeric that is actively researched upon. The variety of biological properties of turmeric has immense use in the case of glaucoma. Its antioxidant action is most notable. The other properties have additional benefits in reducing the risk factors that may lead to glaucoma. Glaucoma vision loss has lately been recognized as a neurodegenerative disease. The oxidative damage and other toxic processes to the ganglion cells (receptors of the visual information) in the retina, is a primary cause of the vision loss. his means even if the eye pressure is reduced the vision loss may progress. The role of TNF-α (a pro-inflammatory molecule) is an important aspect of the retinal ganglion cells degeneration. It promotes the accumulation of oxidative stress and eventually leads to cell death. The oxidative stress leads to dysfunction of glial cells (cells surrounding neurons) and affects the function of optic nerves in reception and transmission of the visual information. It has been established that neuro-protection is very effective in preventing the progression of glaucoma. It can be used as an alternative to the reduction of eye pressure. In order to relieve the oxidative stress, dietary antioxidants such as those of turmeric have been found to possess immense potential. The turmeric constituent curcumin is known for its neuro-protective action. Its anti-inflammatory and antioxidant actions reduce the oxidative stress and also work against abnormal TNF-α signalling involved in neurodegeneration. Curcumin as an antioxidant has been found to be beneficial in preventing the optic nerve damage in glaucoma. It means turmeric consumption is useful in halting the progression of glaucoma. It can reduce the oxidative stress in various cells of the eyes to exert neuro-protective effects. This helps in preventing vision loss.
. Therefore, it has been suggested that antioxidant therapy is useful in preventing the disease. Various natural antioxidants can be included in the diet to protect the eye against the damage. Turmeric being rich in the antioxidant compound curcumin can be a beneficial antioxidant against glaucoma. Curcumin targets many transcription factors (such as NFκB) and pro-inflammatory factors (COX enzymes, cytokines, interleukins, etc.) to act as an antioxidant. It protects the retinal cells from oxidative stress induced cell death. 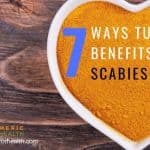 It inhibits the expression of various genes involved in the pro-inflammatory action. Additionally, curcumin defends by inducing expression of heme-oxygense-1 enzyme against the oxidative damage of retinal pigment epithelial cells (involved in visual function). It means regular intake of turmeric can equip the body with antioxidant defences. This can prevent the oxidative stress induced degradation of various cells of retina, thus protecting the eyes against glaucoma. Intraocular/ eye pressure has long been considered a primary factor of glaucoma especially, the open angle glaucoma. Reduction in the trabecular meshwork cells of the eye has a role in increasing the eye pressure. Trabecular meshwork is a tissue in the eye that facilitates draining of aqueous humor. There is also an increase in the compounds called chondroitin sulphates and a decrease in the hyaluronic acid in the trabecular meshwork. This poses hindrance in the outflow of the eye fluid increasing the intraocular pressure. The elevated eye pressure further leads to nerve damage. Modulation of the intraocular pressure in the glaucoma patients is significant and often the first line of the treatment. Turmeric has potential in reducing the intraocular pressure as well. Curcumin’s antioxidant action helps in this. Curcumin also protects the trabecular meshwork from damage. It means consumption of turmeric can prevent the damage to the trabecular meshwork in the eye. This can balance the intraocular pressure so as to avoid the progression of vision loss in glaucoma. Macular degeneration refers to the destruction of the macula, a central tissue in the retina, affecting the central vision. It is generally an age related disorder and some risk factors, such as smoking, cardiovascular diseases, etc also contribute to it. Macular degradation is greatly associated with oxidative stress. Therefore, in glaucoma patients, macular degeneration can also be seen. Glaucoma mainly affects the peripheral vision while macular degeneration affects the central vision. Together, they may result in complete vision loss. Therefore, it is important to keep a check on macular degeneration in the glaucoma patients as well. The antioxidant action of curcumin from turmeric is useful in the prevention of the macular degeneration. Its radical scavenging activity and induction of heme oxygenase-1 activation are responsible for this. Curcumin has been found to restore the neuronal functions in the patients with macular degeneration caused by the oxidative stress. It means turmeric consumption can be effective in preventing the macular degeneration caused by oxidative stress. This can be useful for the patients of glaucoma who may be affected by the macular degeneration. There are various risk factors that may lead to the onset of glaucoma. Some of these include obesity, high serum lipid levels, and diabetes. It has been found that diabetes poses as a significant risk factor for glaucoma. The high blood glucose level is associated with the increased intraocular pressure. Turmeric possesses significant hypoglycemic effect. 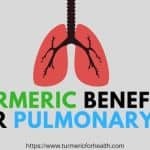 Its various constituents such as curcumin and turmerone activate PPAR-γ. PPAR-γ regulates glucose metabolism. Obesity is another risk factor that may cause glaucoma. The elevated level of free radicals in obese people leads to oxidative damage in the eye. This results in increased intraocular pressure. The turmeric component, curcumin is known to promote weight loss. Its anti-inflammatory and antioxidant action improves the metabolic processes to help in weight loss. Serum lipids such as cholesterols and triglycerides are also a risk factor for glaucoma. A high level of these lipids in the blood is found in the patients of glaucoma. Curcumin again helps in the reduction of bad cholesterol and triglycerides in order to prevent various cardiovascular problems, obesity, and diabetes. It means use of turmeric can be beneficial in alleviation of these risk factors. This in turn can prevent the onset of glaucoma by oxidative damage and increase in the intraocular pressure. The specifications pertaining to the dosage of turmeric for glaucoma are not defined. Turmeric, generally regarded as safe can be consumed in the diet without much concern. 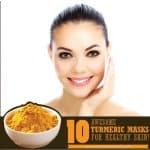 To facilitate the absorption of turmeric in the body, it is better taken in the form of Golden Paste (it has black pepper and other healthy oils in addition to turmeric). 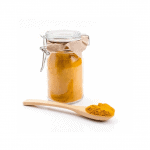 Golden Paste recipe using turmeric powder can be found here. Look for the recipe using fresh turmeric root here. 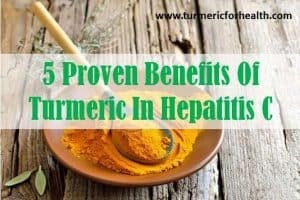 Initially, turmeric intake should be quarter or half a tablespoon per day for a week. If no gastric problems are seen, then the intake can be gradually increased by a quarter or half a tablespoon per week. 1 to 2 teaspoon, twice or thrice a day is a recommended quantity (precisely 1 tablespoon thrice a day). The optimal dose of turmeric varies from person to person; some may need less quantity while some more. The dose is dependent on what is suitable for an individual and how much is tolerated by the stomach. 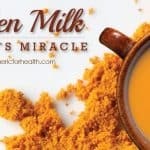 Turmeric milk and Turmeric tea are some delicious options for turmeric consumption. 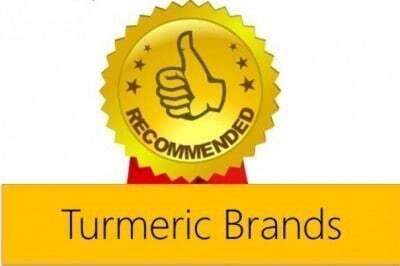 If looking for some good organic brands of turmeric, check our recommendation on best organic turmeric brands. 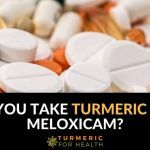 Turmeric supplements are also a viable option, but the advice of a medical expert prior to their use is important. 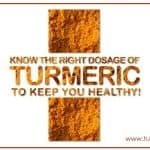 Dietary consumption of turmeric is usually very safe. Use of turmeric as a spice is done in a number of cuisines on a regular basis. There have been no reports of any adverse effect by its consumption in dietary amounts. Turmeric intake should be limited by the individuals at risk of gout or kidney stones. Turmeric is a blood thinner which may pose as difficulty in blood clotting after surgery. 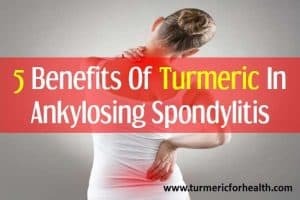 Therefore, turmeric intake as supplements should be stopped around 2 weeks before surgery. 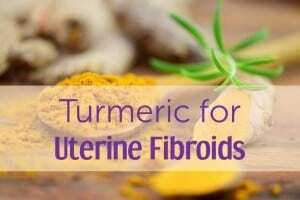 Turmeric supplement intake should be avoided by pregnant and lactating women. 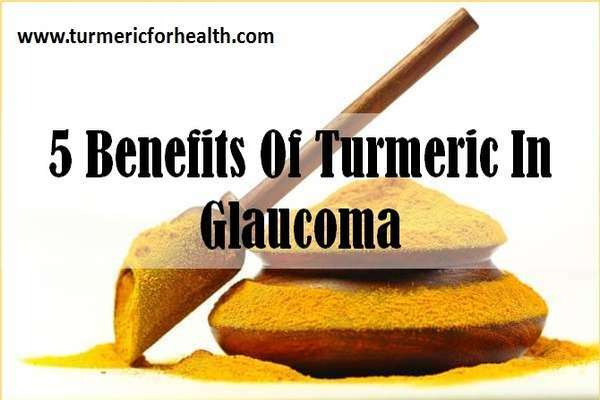 Turmeric has great potential in combating glaucoma. Its antioxidant and anti-inflammatory action prevents the damage to various tissues in the eyes. This helps in neuro-protection and prevents vision loss. 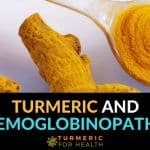 Turmeric also acts against the macular degeneration which may start along with glaucoma, further protecting the vision. Moreover, turmeric is beneficial in controlling the risk factors that may lead to glaucoma. 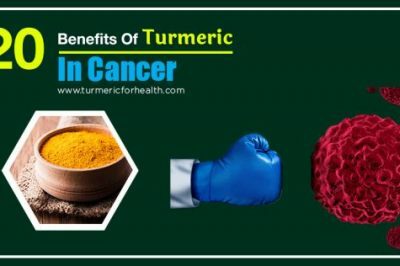 Overall, turmeric can be immensely beneficial in protecting against vision loss due to glaucoma and to an extent in avoiding the onset of this disease. If I’m going to have eye surgery soon In a week can I still use turmeric ? Hi. If it is turmeric in diet (which would mean only 1 tsp or less in the entire day) then you can still consume it. There should be no adverse effects. Curcumin in turmeric has anti-platelet activity which may increase bleeding risk in surgeries. 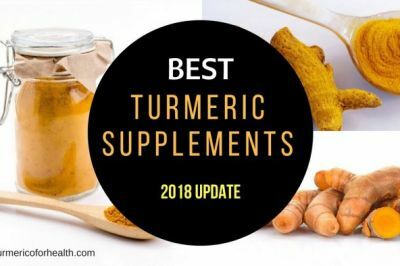 Therefore it is recommended to discontinue turmeric supplements prior to surgery. 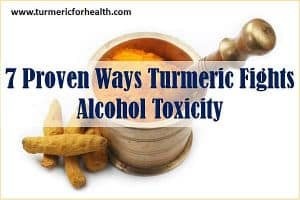 Also many readers discontinue turmeric consumption entirely prior to surgeries and resume post surgery when they go back to normal dietary habits. 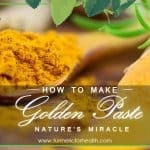 What is golden paste in treatment of glaucoma eye problem With turmeric? Golden Paste is a blend of turmeric, black pepper and oil which ensures better absorption than plain turmeric powder consumption. 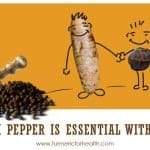 Turmeric may help in slowing down or inhibit progression of the disease. You can consume 1/4 tsp a day and gradually increase the dosage to 1-2 tsp 2-3 times a day over the weeks or how it suits you. Best taken with or after meals. What would be the advised daily root dosage for a 64 year old male adult with Glaucoma please? For fresh root the dose is around 1-3 g daily. I have glaucoma and I think this article is very helpful . I love eating turmeric on jasmine rice and i really enjoy it a lot. I love turmeric more because it’s good for my eyes(;. Vinay. I use a heaped desert spoonful daily. Much more than the very conservative amounts recommended on this site with no noticeable adverse effects. I’ve been doing this for a few months and can feel how it benefits my eyes. I wonder how much Turmeric Indians would use in the average curry? Hi Tom. Great to hear that turmeric is benefiting you. Its true that the ideal dose differs for everyone; some do fine at 1 tsp a day while some do great at 1 tablespoon 2-3 times a day. So yes a dessert spoonful is absolutely safe. Average curry incorporates 1-2 tsp turmeric but it depends on the recipe and quantity say if it is dal (lentil soup) or a chicken dish it may need as much as 1 tablespoon for the entire recipe. For a particular serving the amount seems less but it is practically in every next dish and consumed frequently so average daily consumption would be between 2-4g per day per person.